BtoBet fought off stiff competition to come out on top and scoop the “Innovation of the year” award at the BEGE Awards 2018 that were held in Sofia. The BEGE Awards recognise the significant contribution and excellent achievements by companies and individuals alike in the gaming, entertainment and leisure industry, and seek to encourage new and innovative solutions improving the level and the standards in the industry and further contributing to its development. 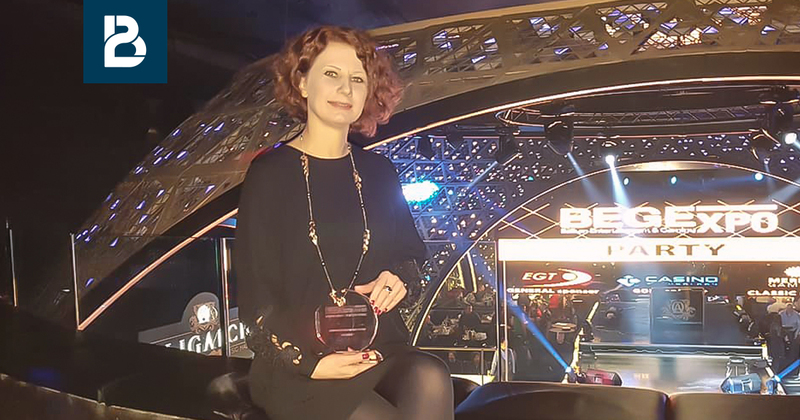 The award was collected by BtoBet CSO, Kostandina Zafirovska, who highlighted BtoBet’s perseverance in seeking to deliver the best possible service in terms of its iGaming platforms to its worldwide partners as one of the major factors to winning this esteemed recognition. She stated that the award is a testament to the cutting edge technology that constitutes the company’s Neuron Sports and Gaming platforms. “BtoBet is delighted to collect this award, which attests the leading quality of our solutions. This spurs us on to work even harder and pursue new paths to create the very best products for our customers,” commented Zafirovska. She further added that the award is also ultimately a recognition of how BtoBet endeavours to deliver a truly excellent and unique service, always aligning itself to the constantly changing needs of the industry. Zafirovska said that the prize, coupled with the “In-play betting software of the year” Starlet Award bestowed to the company in recent weeks further cements BtoBet’s role as a leader in the iGaming industry’s platform provider sector.